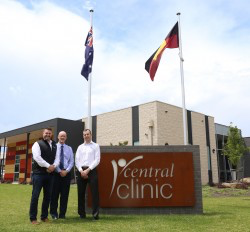 We are excited to announced that Gippsland’s most experienced Podiatry Service provider, The Foot and Ankle Clinic (TFAAC) is is now operating from Central Clinic. Having originally been established in 1994 (formerly known as Gippsland Foot Clinic), TFAAC has expanded to offer Podiatry services in clinics located throughout Gippsland and in eastern metropolitan Melbourne, and is now renowned for offering the latest and most clinically advanced Podiatry treatments available. TFAAC is proud to announce that it will be a part of the Central Clinic in Warragul located at 170 Normanby Street Warragul, Vic 3820 where they will provide our clients the convenience of accessing their state of the art technology, including: GaitScan imaging, assessments and reports, 3D scanning for orthotic therapy, LaserNail Therapy, Shockwave and Prolotherapy, as well as access to an onsite pharmacy and pathology services. This will be complemented by the support of numerous on site General Practitioners and Allied Health Services Central Clinic already proudly offers its clients. Furthermore, their NEW Warragul Practice will be headed by TFAAC’s most experienced Podiatrist, Dr Thomas Lambert, who has been a part of TFAAC since 2007 and has worked throughout the Gippsland region. Dr. Lambert and his family are locally based and he is also a partner and part owner of TFAAC Warragul and Moe offices. 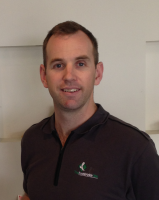 He is excited to be a part of the team at Central Clinic in Warragul and is skilled in all aspects of Podiatry and is able to treat all conditions related to the foot and lower limb. Thomas will be consulting at Central Clinic (Warragul) on Monday afternoons 2pm-7pm, Wednesdays 9am-6pm and Friday afternoons 2pm-7pm. To celebrate the NEW Clinic’s Opening they are offering you the opportunity to have a complimentary Gait Scan Assessment, interpretation and report conducted by Podiatrist Dr. Thomas Lambert.